I'm currently trying to randomly generate something like the waypoint platforms in your average ARPG(Diablo,Torchlight) using the Ruins mod. I've got the general concept, and have made a couple test builds that can teleport the player a few blocks in a relative position to the teleporter. I'm not sure how I'm going to go about making a two way system, never mind one that I could choose multiple destinations for like the waypoints of ARPGs. The key here, and part of the problem, is that I want them to show up randomly in the world via the Ruins mod but connected at least to a home base in a two way arrangement with each waypoint and if possible connected to the home base and each other discovered waypoint in a network. Is this possible and how might I go about it? Has anyone made anything specifically like this idea that I could use? I would actually just use the TF2 teleporter mod and have a teleporter grand central station of sorts near the spawn if it was updated. Then again having waypoints to discover out in the world might add more to the game for my players. 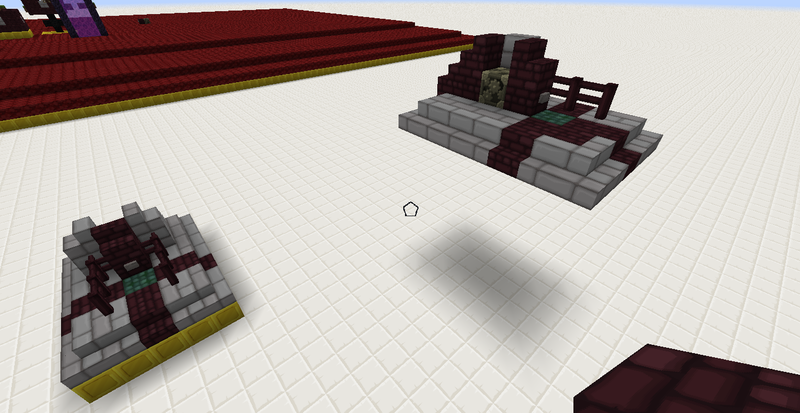 So do you need the command blocks to teleport you to the mod's waypoints? (sorry I've never used this mod before, so I have no idea what it does). If so then this is impossible. But you can use invisible custom renamed armor stands to mark out points, you can then teleport the player to a random one of them (using @r). So the mod basically lets you parse out a template, a house, mineshaft, teleporter pad, by saving the contents of a designated area in game to a text file with the extension .tml instead of .txt. In the example picture you can see an original constructed tower on the middle/right atop the gold platform and a copy of it to it's right. 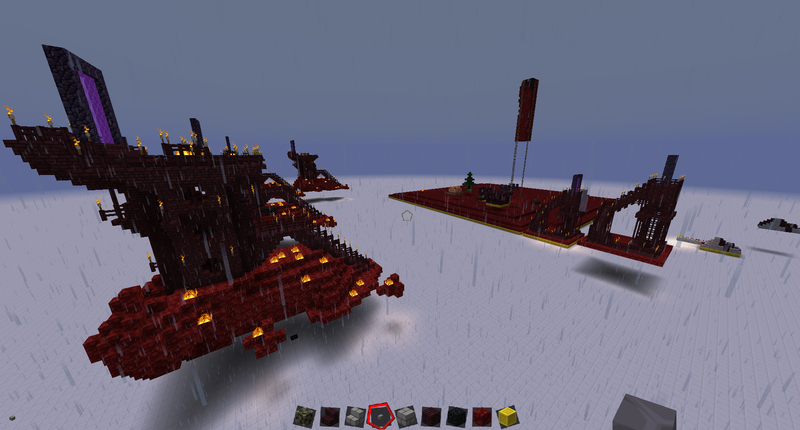 The towers on the left side are copies of a tower constructed in the nether, after I realized I'd have to remove the roof of the nether to build there(hence the giant section of nether roof above the test zone). In the second example there are two quick and simple platforms, one original and the floating one is the copy(I don't know why they float, don't ask). The template has the button activating the command block with a simple /tp @p ~5 ~2 ~5 as a test to see if I could even copy a command block with a console command on it. If this were a finished product I would then take the template and put it in the appropriate folder to randomly spawn these in the world. Ruins is pretty sweet, especially if I can get random castles and dungeons to spawn in my world with custom mobs and loot thanks to command blocks.